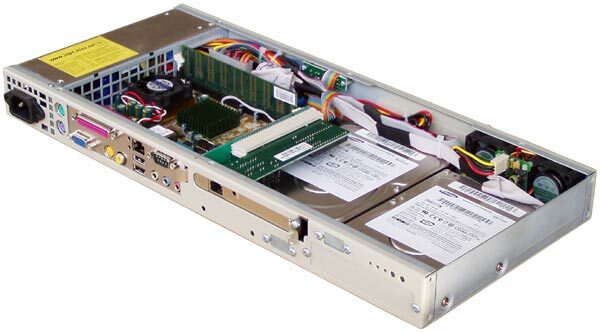 Thanks to the diminutive size of Mini-ITX motherboards it was possible to make innovations in the space saving and performance for the rack mounted server market. A 2-way mounting cover and plenty of airflow space permit to fit 2 units back-to-back, effectively doubling capacity and connection options. The Mini-ITX motherboards solution's low power and temperature also mean that cooling is simplified and power supply options are greater. 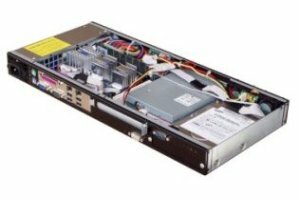 High efficiency fanless power supply and champion's size make DS15 the best rackmount chassis on the space-saving rackmount product market. DS15050-24 50W DP010 Full range 90V~265VAC input. Fanless! 50W DP011 +21V~30VDC input. Fanless! Wide cutout on a back side for rear I/O connectors. This cutout is covered by special low profile shield/backplate. Multiple types of plates for the most popular Mini-ITX motherboards are available (optional). 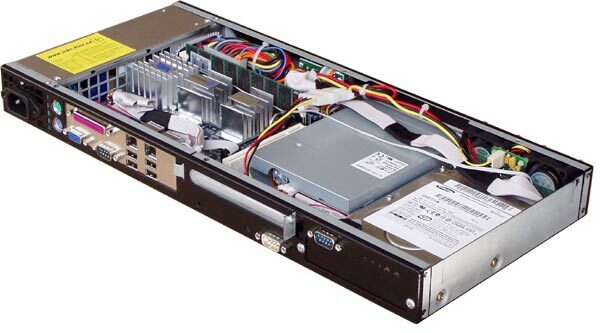 Apply 2HD15 cage, to install 2,5" HDD in chassis DS15. The cage you put in the regular HDD place. One cage is for two 2,5" HDDs. 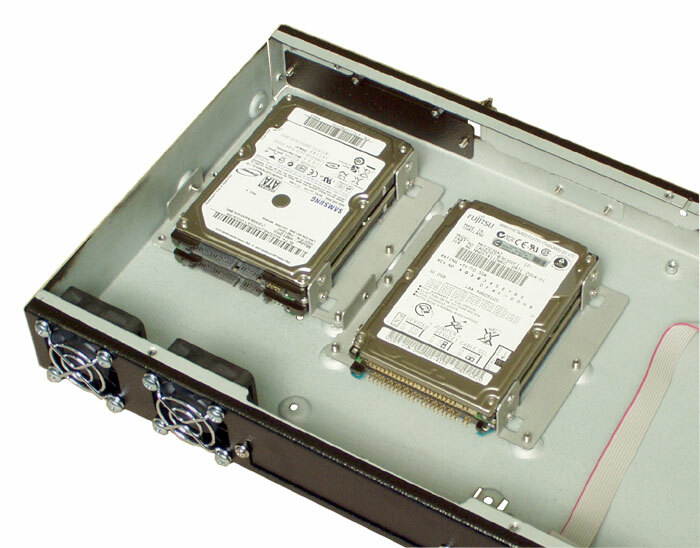 You can put up to four 2.5" HDDs in two cages in DS15 chassis.The cage 2HD15 is supplied as option. It is advisable to order cage together with chassis.